YaleNet - Smart Matters - Joshua Spanogle's (BR '93) "Flawless" now in paperback! 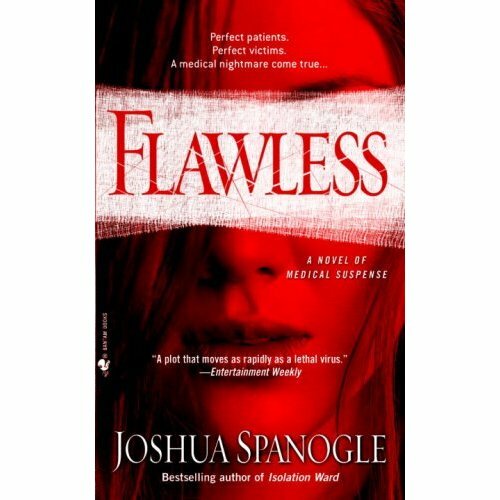 Joshua Spanogle's (BR '93) "Flawless" now in paperback! Physician and bestselling author Josh Spanogle's (BR '93) new medical thriller, FLAWLESS, is now in paperback. Trying to salvage an imploding relationship, former CDC doc Nate McCormick has just moved back to the San Francisco area when he's contacted by an old medical school buddy desperate for help. His friend's pleas draw McCormick into the world of biotech greed, black market cosmetic medicine, and Chinese organized crime. Booklist calls Flawless "a very clever novel...well-drawn characters, a smart story, plenty of suspense, and even a little commentary on the nature of the medical profession. Skilled storytelling." Publishers Weekly says "[Spanogle] has an undeniable gift for creating tension and movement. For page-turning fun, this gory medical thriller has all the elements." For more information, visit Josh's website.